Two shots is an extra about the encounter between Hiei and Kurama in the human world. However, no one expects a sudden act of heroism on his part: he dies trying to save a little boy from a speeding car. In fact, when he arrives in the afterlife, he is informed that no one was expecting him to die that way, and were not prepared for his arrival. 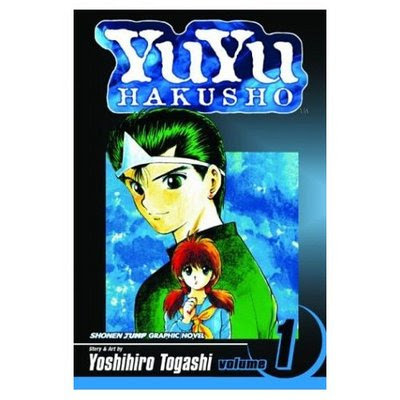 After numerous tests to gauge his worth, Yusuke is eventually revived, and is assigned to work for the Spirit Realm as a detective investigating demonic cases in the human world. He comes into spiritual abilities of his own, and enlists the help of numerous friends from Reikai (spirit world), Makai (demon world, translated in the English manga as the Demon Plane) and Ningenkai (human world) to aid him in his cases as they fight off demons and humans seeking to rule over all three worlds. *Two shots is an extra about the encounter between Hiei and Kurama in the human world.